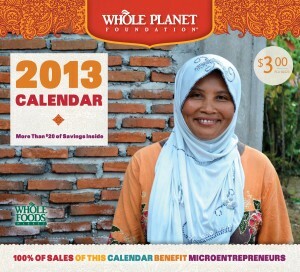 The Whole Planet Foundations 2013 Calendar is now available at Whole Foods Markets. It costs $3 but has $42 worth of coupons inside that don’t expire until December 2013. All of the proceeds raised through calendar sales is dedicated to helping impoverished people worldwide. Their goal is to reach approximately 7,500 people from the money raised. This is one of those things you will see in the matchups for the next year and wonder how to get it… now is your chance! -$3 off MegaFood Men or Women One Daily or One Daily Over 40 supplement, 60-90 ct.
-$1 off Zevia zero calorie sodas, 6 pk.